As beauty editors, we learn a lot on the job, so it's always particularly exciting when something elicits genuine shock and awe among us. Well, when the Byrdie team learned from veteran stylist Michael Dueñas that he uses dry shampoo on wet hair for killer volume, that's exactly what happened. Our jaws basically dropped to the floor. Consider our worlds turned upside down, because who knew dry shampoo on wet hair was a thing?! And here, all along, our bottles of the good stuff have been relegated to prolonging dirty blowouts, when they could have been used from the get-go for a fuller head of hair! Naturally, we picked Dueñas's brain for more information, so keep scrolling to learn how and why to use dry shampoo on wet hair! Dueñas been using dry shampoo on wet hair for four years, which he discovered out of necessity during a work bind. 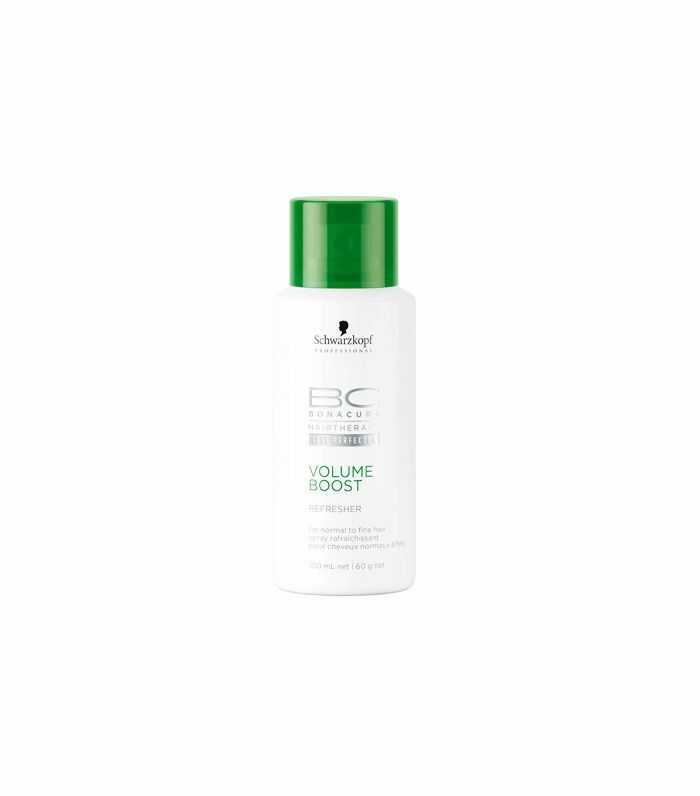 "I was out of mousse on a job that required volume, and in a panic I used my dry shampoo. I was astonished at how well it worked," he says. "It has just become normal for me now," he says. "It all depends on the type of volume I want. I use dry shampoo when I want the hair to look like there is absolutely no product in the hair. So when I am looking for large volume, but an airy, not-so–set-in-place style, dry shampoo is my go-to." The reason it works like a charm for this aim? "Dry shampoo does not have any hold factor to it, just body-building properties," he explains. So it's basically for when you want your hair to look naturally, effortlessly full (in our opinion, always). "You always have to finish with your favorite hair spray, albeit sparingly," he says. This is exactly how Dueñas uses it: "While hair is damp (best when about 90% dry), spray the dry shampoo from the scalp to ends," he says. "Taking sections as you apply helps for even coverage as well. 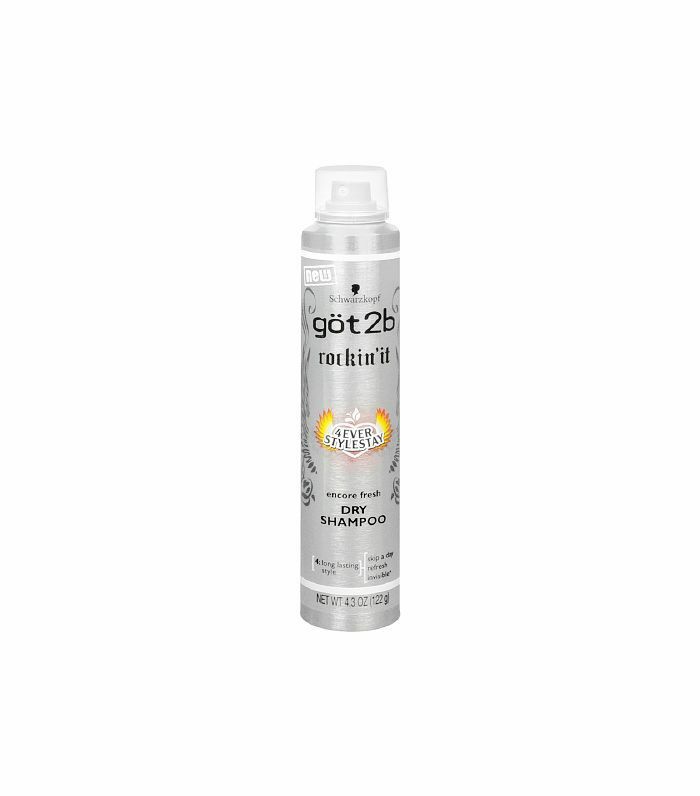 Once applied in the hair, blow-dry as normal, or rough-dry and style with your favorite hot tool. It doesn’t have to be any more complicated than mousse!" Says Dueñas, when used on oily hair, for instance, dry shampoo absorbs the extra oil. When used on water, like with wet hair, it somewhat binds itself to the hair strand, causing the strand to be fuller, thicker, and more voluminous. "It can also help create the effect of thicker hair, since each strand of hair has a larger diameter." As for aerosol versus powder on wet hair, Dueñas says it's much easier to distribute aerosol without overburdening the hair. "If you are a master with sprinkling powder, by all means have at it. Just make sure to distribute it evenly!" he says. Pretty cool, right? If it's the secret styling weapon of an industry vet, it's certainly good enough for us! Keep scrolling to shop the exact dry shampoos Dueñas uses, and tell us below: Have you ever tried dry shampoo on wet hair? Will you give it a shot?